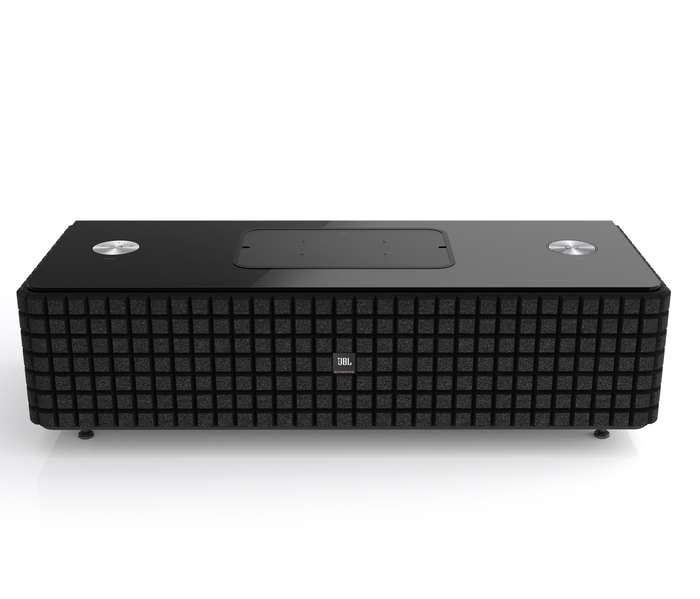 CES 2014, LAS VEGAS – HARMAN International Industries, Incorporated, continues to command the lead in compact, wireless speaker technology with the announcement of two new JBL Authentics Series wireless speaker systems. The JBL Authentics L16 and L8 both feature AirPlay, DLNA and Bluetooth connectivity, enabling audio to be streamed from any wireless device. The classic speakers are also the first to boast HARMAN Signal Doctor™. This innovative and exclusive technology restores the details lost in today’s compressed music files, adding detail and energy to even low quality MP3 files from your mobile device. As well as having the latest in sound technology, the JBL Authentics L16 and JBL Authentics L8 wireless speaker systems also epitomize the best in JBL heritage. They feature authentic materials; system optimized low-frequency and high-frequency JBL transducers, and the meticulous acoustic design that is expected from JBL. With JBL Authentics speakers' 24-bit / 96 kHz digital signal path, you'll hear studio-quality sound. Audio CDs reproduce sound at a 44.1 kHz sample rate, at16 bits per sample. But recording studios work at a 96 kHz sample rate, with 24 bits per sample. The JBL Authentics L16 and L8 wireless speaker systems support this higher, studio-quality sample rate and bit depth, all the way through. The result is jaw-dropping audio quality and a wide stereo image from a single enclosure, ideal for any audiophile. The expertise of the JBL Authentics L16 and L8 is not just in the technology. With a luxurious wood housing and retro grill treatment, these systems will complement interior décor ranging from mid-century modern to transitional to contemporary rooms in any living space. Stylish and self-contained, they are an ideal sound system for use with any audio source. The JBL Authentics L16 Sound System features a walnut-veneered enclosure and supercharged three-way sound, with six 50W amplifiers driving six speakers to fill any room with exceptional volume and unbeatable audio at studio-quality 96 kHz/24 bit. The JBL Authentics L16 also boasts all-around connectivity via AirPlay, DNLA and Bluetooth, as well as analog, optical, and on board moving coil and moving magnet phono preamps. The free JBL Music™ app gives control over the speaker through both iOS and Android mobile devices. 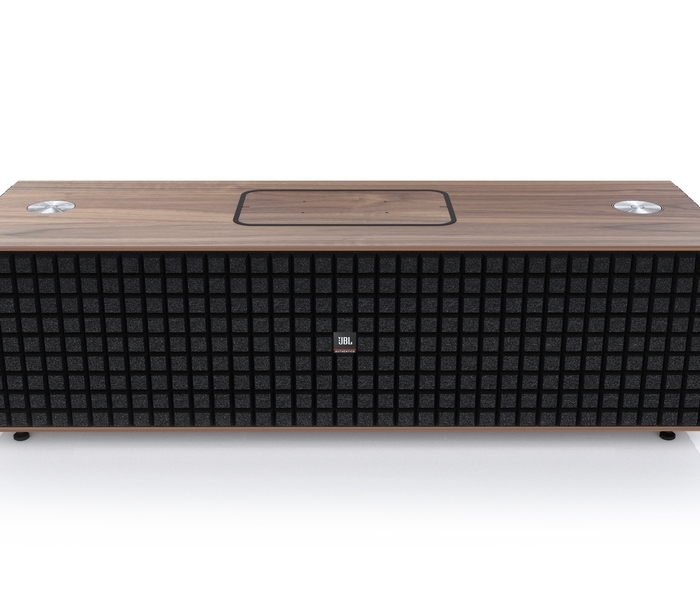 The JBL Authentics L8 Sound System is housed in a wooden enclosure with a gloss black piano-quality finish. JBL Authentics L8 Sound System supports studio-quality audio, at 96 kHz/24 bit. Its exceptional audio quality comes with the latest wireless technology for connectivity with a wide range of devices via AirPlay, DNLA and Bluetooth as well as optical. The free JBL Music™ app turns any iOS or Android mobile device into a remote control. Enjoy studio-quality stereo JBL sound and wireless versatility from a single, stylish enclosure. For additional information or to purchase the JBLAuthentics L16 (MSRP $999) or JBL AuthenticsL8 (MSRP $699), visit www.JBL.com.